It’s time for a regular blog post. I know I’ve been doing a lot of Wasabi News and random posts about Nintendo and body wash, and for those looking for a bit more… well, I apologize. Life keeps me busy but I try to make time to post what I know the majority of my readers want to see, at least once a week. Today I want to make some announcements, so here’s a BONUS REGULAR POST!! There’s only 30 more days to wait until the release of Animal Crossing: New Leaf! I’m sure it’s no surprise that I am SUPER EXCITED! I’ll be downloading the digital version of this game at 12AM on 6/9. I’ve waited long enough, dammit! I don’t really care about the box art, yes I’m sure it’s very nice but it’s just more important to me to have AC:NL with me at all times, and I don’t have to worry about finding/losing the game cartridge. (Yes, I’ll still have to worry about losing my 3DS… lol! But that’s always a concern. I keep it close to me always!) I can’t wait until I won’t have to carry about both my Pikachu 3DS XL and my JP 3DS daily. I’ll still play in Wasabi occasionally but my new game will be my “main game.” Wasabi, most of the time, will be staying at home, unless there’s a big AC:NL event to attend and I’ll bring it with me to get extra StreetPasses! For those wondering, all the Hoenn region town names are really long, so those are pretty much out. What do you think? Any suggestions? Rankings will be decided based on player Ratings at the end of the competition. Players may use only Pokémon found in the Unova Pokédex of Pokémon Black Version 2 and Pokémon White Version 2. Pokémon may not use the move Sky Drop or Dark Void during battle. For details, check the Rules section. Also, quick reminder that there is an ongoing Deoxys WiFi Mystery Gift Event right now! Don’t forget to download Deoxys to your game – he’s level 100! The Mystery Gift event ends on May 31st so don’t delay! ANNOUNCEMENT 3: THE BIG ONE!! That’s right! JDubz and I are going to E3!!! I am SOO EXCITED! Not only will this be my first trip to the west coast, but JDubz and I will be attending the E3 Conference as interns for Island Officials. We’re also going to be meeting up with Jenn (aka Vella) from sosostris.com to see the “Legend of Zelda: Symphony of the Goddesses” concert once again! And after the conference, we’re going to road trip it up and drive through the desert to visit Las Vegas! OMG! I am beyond excited! I can’t wait to report to you all, EXCLUSIVELY, about all the latest upcoming games, gadgets and electronics at E3! What’s amazing is that the Glux Blog is not owned by any major corporation, and I don’t have to answer to anybody. What does that mean for you? Unedited, uncensored, instant reporting for you! No waiting for an editor to approve my news updates. No big brother company making me sway my opinions to fit a corporate agenda. So when you are looking for the latest news from E3, forget Kotaku! Check the Glux Blog, or more likely my Facebook and Twitter accounts, for up-to-the-minute updates, news and photos! I’ll do my best to blog daily as well. So now the Countdown begins! 30 Days Until Animal Crossing: New Leaf! 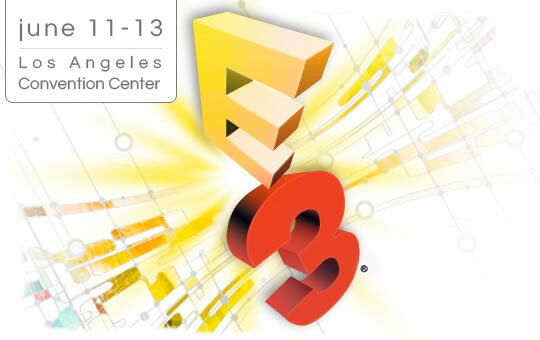 31 Days Until E3!! June is going to be the BEST MONTH EVARRRR!!! Character limit is 8 characters so Jubilife should fit just fine. Ooh, Pokemon has some nice town names. I like Azalea and Eterna ^^ WiiFolderJosh whom I watch on Youtube has an advance copy of the English AC:NL and his town name is 8 letters long (Hocotate).